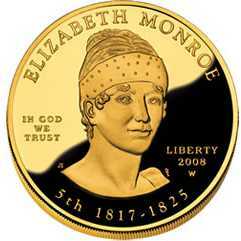 Elizabeth Kortright Monroe was born in New York on June 30, 1768 and died on September 23, 1830 at her home, Oak Hill, in Virginia. 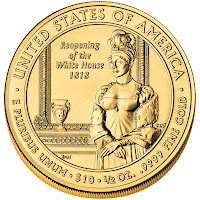 She was the First Lady of the United States from 1817 to 1825, as the wife of President James Monroe. 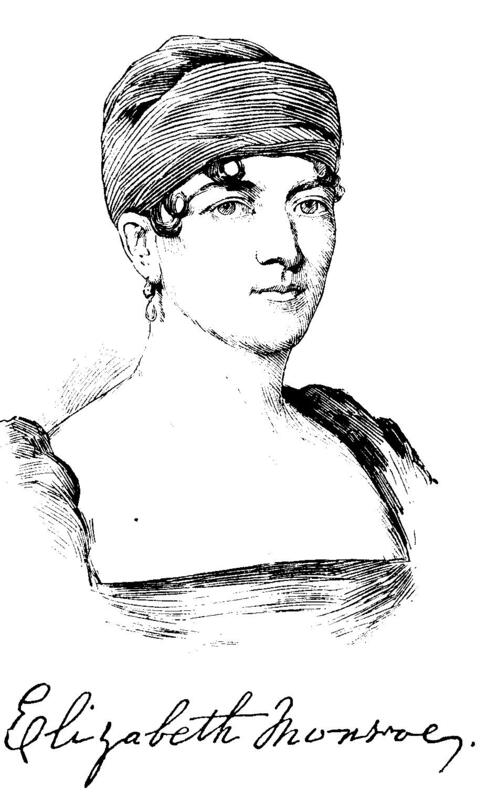 Elizabeth Kortright Monroe, born in New York city in 1768; died in Loudon county, Virginia, in 1830, was the daughter of Lawrence Kortright, a captain in the British army. 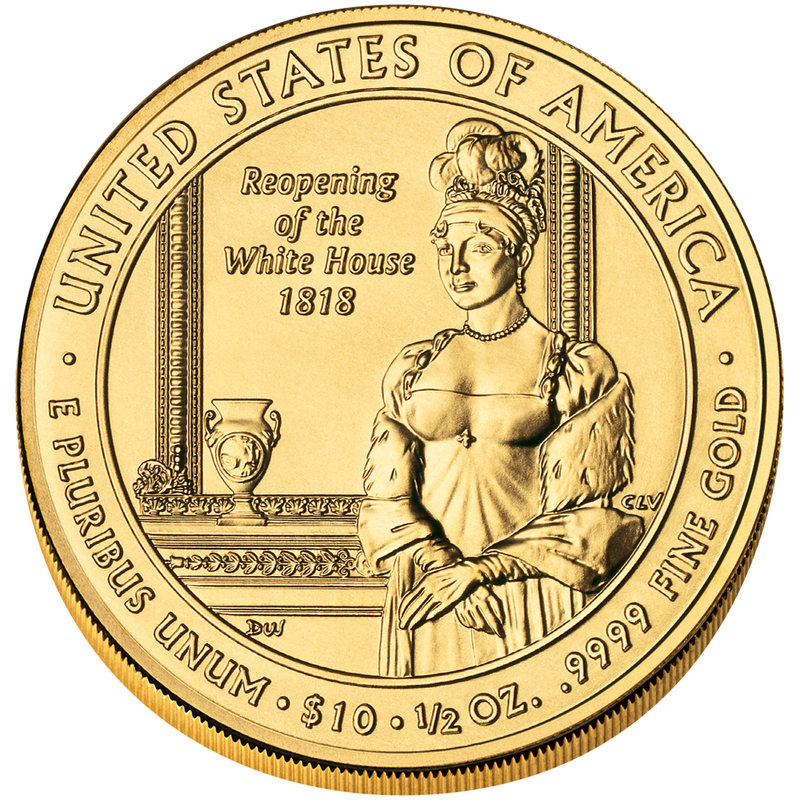 She married James Monroe in 1786, accompanied him in his missions abroad in 1794 and 1803, and while he was United States minister to France she effected the release of Madame de Lafayette, who was confined in the prison of LaForce, hourly expecting to be executed. On the accession of her husband to the presidency, Mrs. Monroe became the mistress of the White House; but she mingled little in society on account of her delicate health. 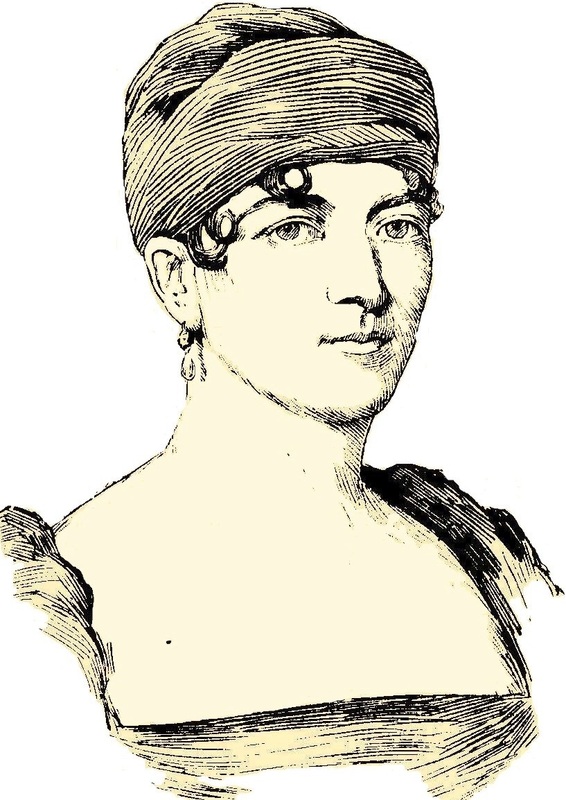 She is described by a contemporary writer as "an elegant and accomplished woman, with a dignity of manner that peculiarly fitted her for the station." The accompanying vignette is copied from the only portrait that was ever made of Mrs. Monroe, which was executed in Paris in 1796. 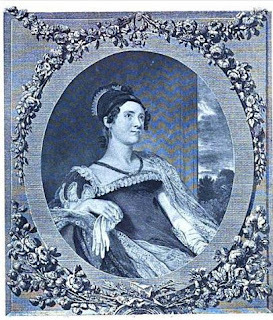 ELIZABETH KORTRIGHT was the daughter of a retired captain in the British Army, who, after the peace of 1783, remained in New York. 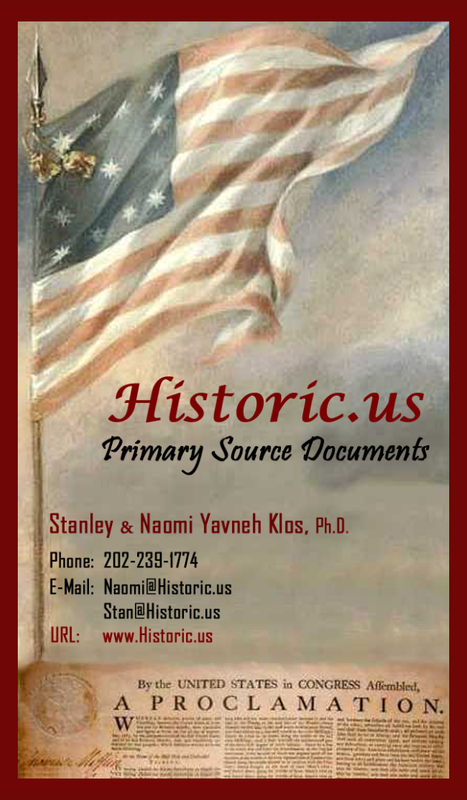 She married Mr. Monroe there during a session of Congress, but later the seat of government was removed to Philadelphia, where they resided until 1794, when Monroe was made Envoy Extraordinary and Minister Plenipotentiary to France. Her husband's several foreign positions of trust obliged them to live much abroad. She saved the life of Madame de Lafayette, who, upon the very day of Mrs. Monroe's call at the prison, was to have been beheaded; but the powerful support of the American Minister's wife caused her liberation. Mrs. Monroe was elegant, accomplished, dignified and charming, and her "drawing rooms" were more ceremonious than those of Mrs. Madison. She died suddenly, one year before her husband, who spent the remainder of his life with his daughter Mrs. Gouverneur in New York. Last page of an autograph letter signed, published with the owner's permission, in the hand of Elizabeth Monroe. 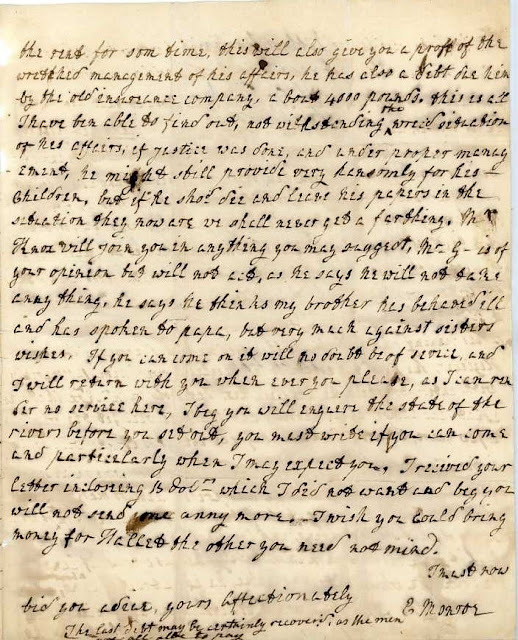 On its verso, the letter is docketed by James Monroe.